Custom Forms: yes, your website can have any type of form that you could think of such us surveys, order forms, forms with an autoresponder integrated so that your customer can receive a follow up or confirmation email . 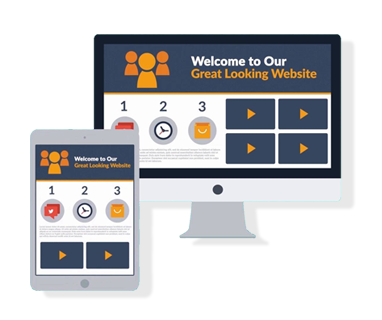 Slider: why have a static website when you could have a website that actually gets your customers and prospects attention. Your slider can have unlimited banners as well as all your marketing pages. Pop-Ups & Fixed banners: As mentioned before, we are always looking for ways to get our customers attention and what better way to do so than Pop-Up banners. Pop-Ups can help you promote a specific product, even a different marketing page within your website, blogs , newsletters or even show current promotions or discounts. This are only some of the tools that could change your website, if you want to learn more about the benefits of having a marketing page contact us.